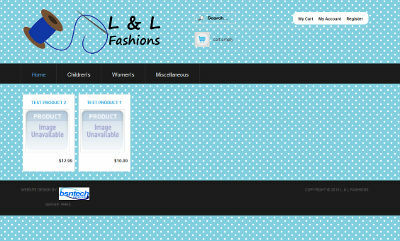 Linda, the owner of L & L Fashions, contacted us to get a website created. Linda creates custom fashions for women and children with some miscellaneous items as well. We started on her site and created a custom logo for her as well. She wanted a femine-looking site with polka dots used as the background. The site was completed and we have just turned it over to Linda for management. She will be empowered to add the products to her site. As of now, there are only two ‘test products’ that show up on her home page – but as she adds her products in, more will appear. We appreciate the business from Linda! Linda’s website is at shopllfashions.com.